British Pathe's YouTube channel is a veritable treasure trove of royal jewel clips, including this outtake footage from their film about the gala at the opera held the night before Queen Elizabeth II's coronation. 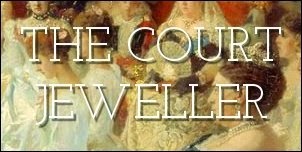 This footage features bonus angles and perspectives on the array of jewels worn, including both very familiar pieces and lesser-known aristocratic jewels. Enjoy!